Accountability When It comes To Eating Healthy - Healthy Eating Tips! Well it’s true and I use this phrase a lot with my clients to make them aware if they want a nice looking stomach, they must eat right! Your abdominal muscles are not made by doing 1000 crunches a day; they are developed by putting the right foods in your mouth and being on a regular exercise routine. How do you stay accountable to eating right? With all the temptations that we have around us on a daily basis and the shortage of time, it is a challenge to eat correctly. It is not impossible, just takes making correct decisions and the right preparation. Nutrition is approximately 85% of your results, whether you are looking to lose weight, tone up, or add muscle. Pick a day of the week where you can put an hour to the side and cook your meals for the week. Invest in some small plastic containers that you can arrange portion sizes and stick in the refrigerator, this will help not to over-indulge and it is convenient when you are in a hurry. If you are on the road during the day, buy a small lunch box to keep in your car and if you working in an office, learn to utilize the kitchen and keep a supply of food on hand. The times that most people fall off the wagon, per say, is when they do not have time to eat and they just grab the first thing they see. For you to reach your fitness goals, make sure what you grab is a healthy choice. Writing down everything you put in your mouth is important to reaching your goals. Buy a notebook, download an app on your smartphone or log it on your computer. 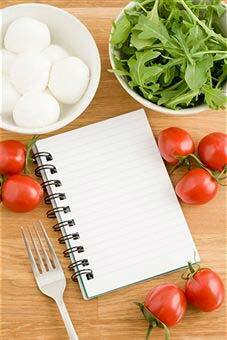 A food diary is key for keeping track of your progress and motivating yourself to stay accountable to a healthy eating lifestyle. With so many different options on your smartphone and a variety of website choices, it is very easy to keep track of your caloric intake each day. So many times people mindlessly graze and before you know it, you have consumed an extra 500 calories. A lot of people do not take into to consideration what they are drinking is adding to their daily calorie limit as well. When you use a food journal, it makes you more aware of everything that you eat and makes you think twice before eating something unhealthy. You might ask, “What if I go out to eat often?” Staying accountable when eating out at restaurants is hard, but remember it can be done. If you are eating six small meals a day, then when you go out you are less likely to want to splurge. One of the most important things to do when ordering off a menu, to reduce calories and save on fat is request no sauces and dressing on the side. Just because you do not see healthy options on a menu does not mean it is not available. Most times when eating out, you will have to special request items that fit inside your meal plan. Stay accountable to your nutrition during the week and on weekends. If you happen to over-indulge or you splurge and have something that is not in your diet, get back on track the very next meal. Food is fuel; feed your body with nutrient- rich foods which contain lots of vitamins and minerals. Each meal needs to contain a protein and a carbohydrate. 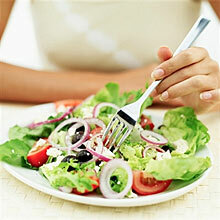 Your diet should also consist of greens that are rich in color and a wide array of vegetables and fruits. The key to seeing results and reaching your fitness goals, is consuming the right foods and being on a good exercise program. About the Author: Cindy Ross has been teaching fitness and working as a personal trainer since she was 18. Cindy inspires people to lead a healthier more productive life! Cindy has a TV fitness segment every Wednesday morning on Local 15TV and her Bodies By Cindy Boot Camp & Personal Training studio has been voted the #1 Boot Camp & Best Workout in Mobile, AL. Cindy is currently an Alabama Personal Trainer.